Big, Rugged and Tons of Fun! 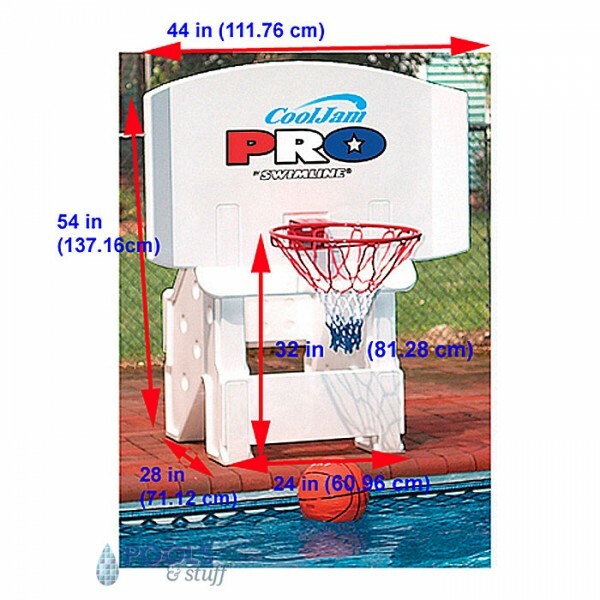 This deluxe game is a full 44" wide and 32" high to keep the basketball in the water and out of the deck area. The superstrong backboard is unbreakable and adjustable to different heights. 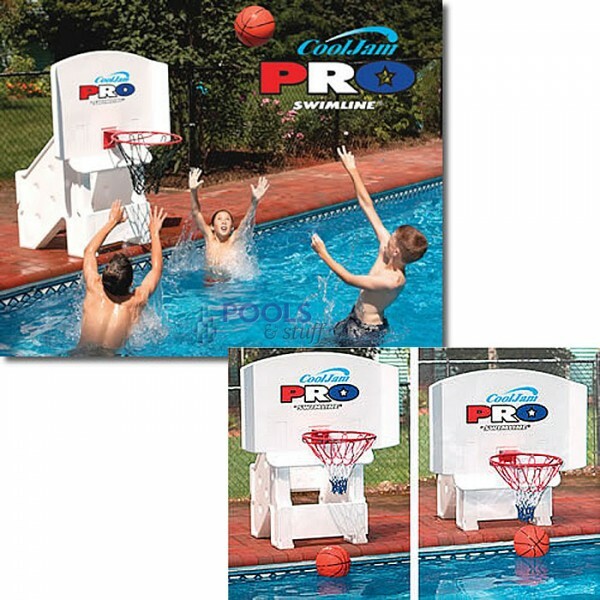 The rugged resin base is filled with water to anchor the "cool jam" for hours of splash dunking. The unit comes with a regulation metal rim, basketball and heavy duty net. This is a top-of-the-line basketball game that will last you year after year—at a great price!